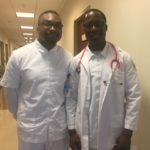 In health care, the value of having diverse doctors and nurses is often overlooked. We know that nurses spend many hours training to think critically at a moment’s notice. Nurses work long shifts and wear scrubs with cartoon-characters to make patients smile. They put the “care” in health care. Nurses teach you how to get better or feel safe when you are sick. They learn these skills and so much more at NCCU. E.D. 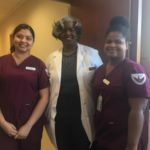 “Reese” RN, BSN, CCM, MSL, a Blue Cross NC nurse and care manager feels pride when she speaks of North Carolina Central University (NCCU).“Being an Eagle means everything. There is a sense of pride when you go to an HBCU.” It is clear that nursing is not just a profession for Reese, it is her passion. They have trained for this, they know what to do. When asked about her experiences as a nursing student at NCCU, Reese recalls rigorous courses of study and not everyone made the cut. Her first two years were liberal arts. 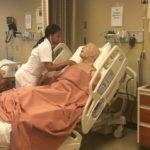 In her third and fourth year in nursing school, she transitioned to the “upper division.”Just because you are a junior doesn’t mean that you get to move to upper division. You have to earn it! 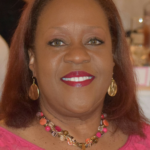 Reese knew that education was key to success, but she couldn’t imagine all that she learned at NCCU being a guiding force in all that she would do after graduation. The nursing program taught her to think critically and to ask the right questions. This is a necessary skill for any nurse. The critical thinking skills, as it relates to the health of Blue Cross NC members, is based on basic fundamental nursing process, which involves a collaborative approach, that entails assessing, planning, implementing, coordinating and monitoring with follow-up for efficiency. Some people believe that nursing is an easy profession, but they would be wrong. Nurses “do a lot of research to make decisions.” It is a high-stress job that calls for a great amount of patience and compassion. Nurses count on past experiences. They must be strong communicators and think critically to find solutions during an emergency. Reese remembered an experience after 9-11. In her nursing role, she was tasked with helping a group of telecom workers get medical clearance. The group needed to rebuild a telecom building near ground zero. Her research told her that routine masks were not going to cut it. The workers needed special masks to protect them from toxins likely present in debris. In 2017, according to Labor Force Statistics from the Current Population Survey, African Americans made up 12.3% of all RNs and 10.6% of all nurse practitioners. History teaches us that nurses are selfless and highly-skilled. African American nurses have faced discrimination in the pursuit and practice of their profession. 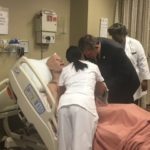 The $1 Million investment provided by Blue Cross NC will give even more opportunities for scholarships, recruitment, and retention of nursing students. The investment will also be used to build upon the university’s state-of-the-art facilities. By supplying students with access to cutting-edge technology, they recieve the practical experience needed to excel in the health care field. 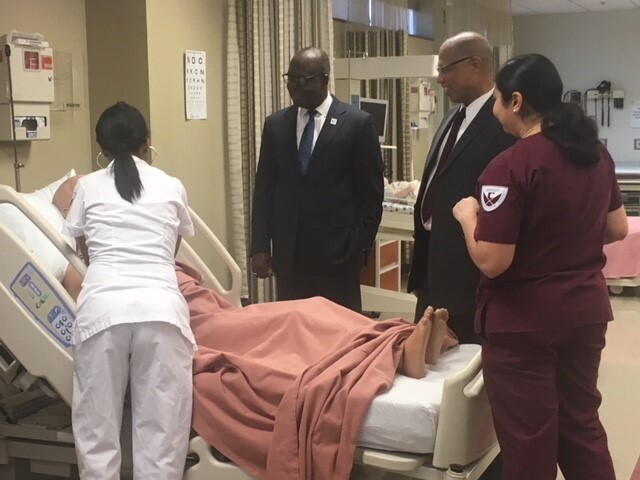 This investment will also help to grow NCCU’s capacity to teach and train the state’s next generation of nurses – and that will aid us all.